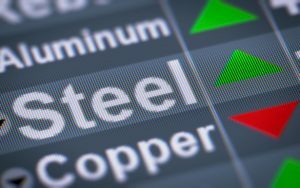 This morning in metals news, China’s scrap steel exports surged last year, two popular American non-metal products could be affected by steel and aluminum tariffs, and a miner of gold and silver looks to get into copper and zinc. Scrap steel exports from China amounted to 2.2 millions tons in 2017, according to a Reuters report citing the Xinhua news agency. Bourbon, Cheese Getting Caught in a Hypothetical Trade War? As President Donald Trump mulls steel and aluminum tariffs — as part of the Department of Commerce’s Section 232 probes — many have pondered if such tariffs would mark the start of a new trade war. According to a report by NPR, Kentucky bourbon and Wisconsin cheese could be affected in such a trade war. While China is often the primary focus of the 232 discussion, according to the report European allies are warning of possible retaliation. Hochschild, a miner of gold and silver, is interested in moving into other sectors, like copper and zinc, according to a Reuters report. Gold and silver will continue to buy the miner’s top priority, according to the report.